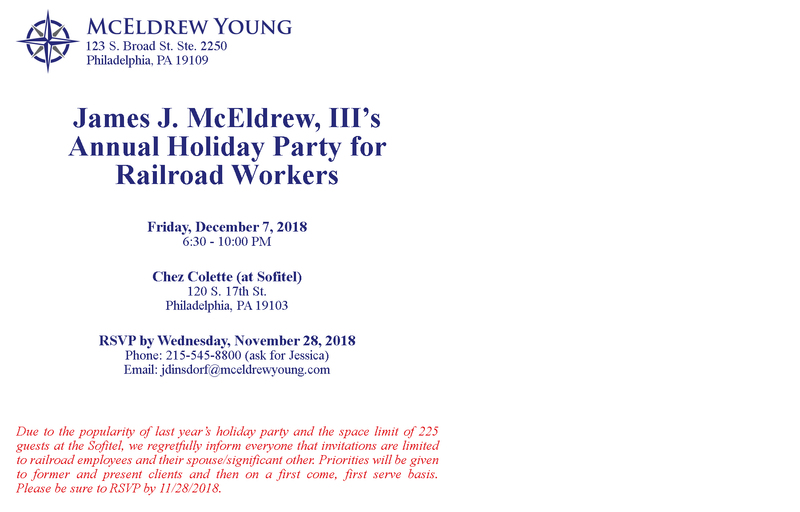 Jim McEldrew has scheduled his annual holiday party for Philadelphia’s railroad workers. This year, it will be Friday, December 7, 2018 starting at 6:30 PM at Chez Colette (located inside the Sofitel Hotel). Chez Colette is located at 120 S. 17th St. in Center City, Philadelphia. 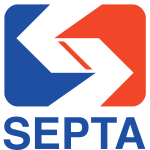 We look forward to another great turnout of SEPTA workers and others in the railroad industry. We are excited to celebrate this holiday season with old and new friends. Past and present clients are welcome and should be receiving the below postcard invitation in the mail. 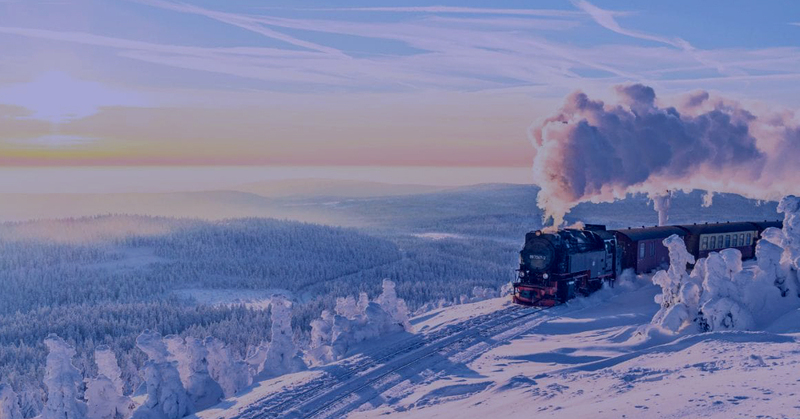 If we don’t have your address but you work for a railroad in the area, you are also free to join us – just make sure that you are RSVP so that we know you are coming. In order to let the restaurant know how many people to expect, please RSVP by Wednesday, November 28, 2018 to Jessica Dinsdorf at McEldrew Young. 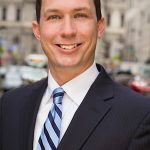 She can be reached at (215) 545-8800 (ask for Jessica) or email to jdinsdorf@mceldrewyoung.com. The details from the invite are below. 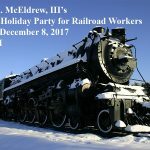 Please note that due to the popularity of last year’s holiday party and the space limit of 225 guests at the Sofitel, we regretfully inform everyone that invitations are limited to railroad employees and their spouse/significant other. 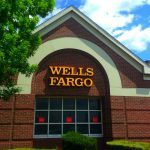 Priorities will be given to former and present clients and then on a first come, first serve basis. Please be sure to RSVP by 11/28/2018. We look forward to seeing you in early December! Next articleDo Drug and Healthcare Ads Push Ethical Boundaries?